Hey everyone, I'm sure your all starting to book your children in to see Santa before the big day.. i can't believe we only have 9 more days left!! I am rather excited as our the children. 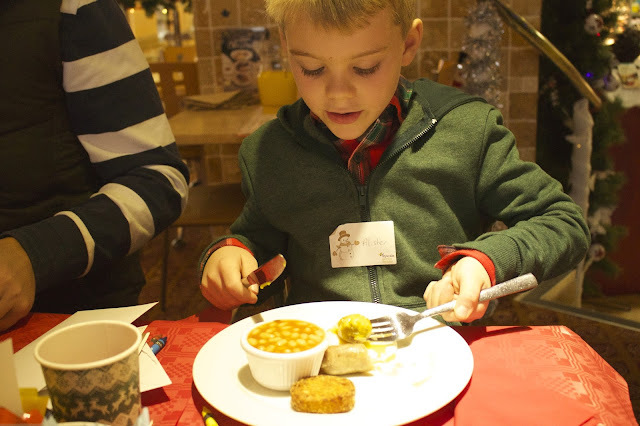 We were invited down to John Browns Garden Centre a couple of weeks a go to have breakfast with the big man himself! It was pretty special and to be honest i wasn't sure what to expect. 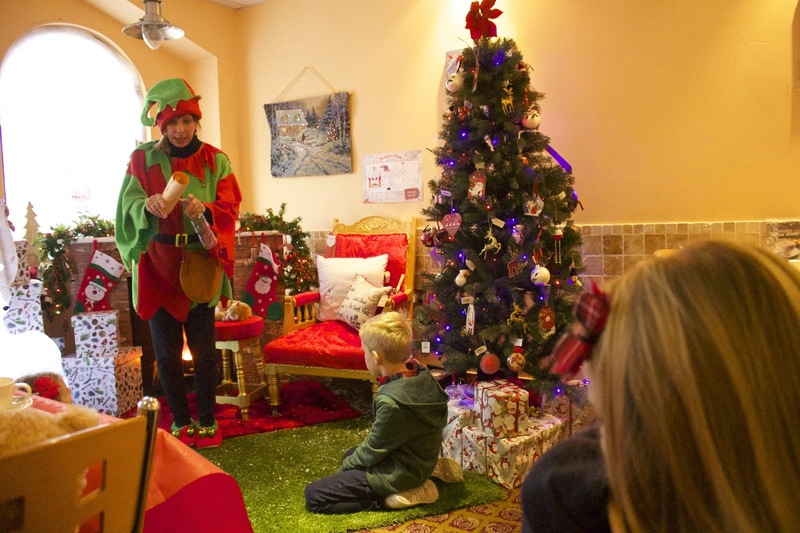 The children loved the grotto itself, it was beautifully decorated and very festive. The staff or shall i say Elves were so welcoming and fun. It truly got us instantly into the festive spirit thats for sure. 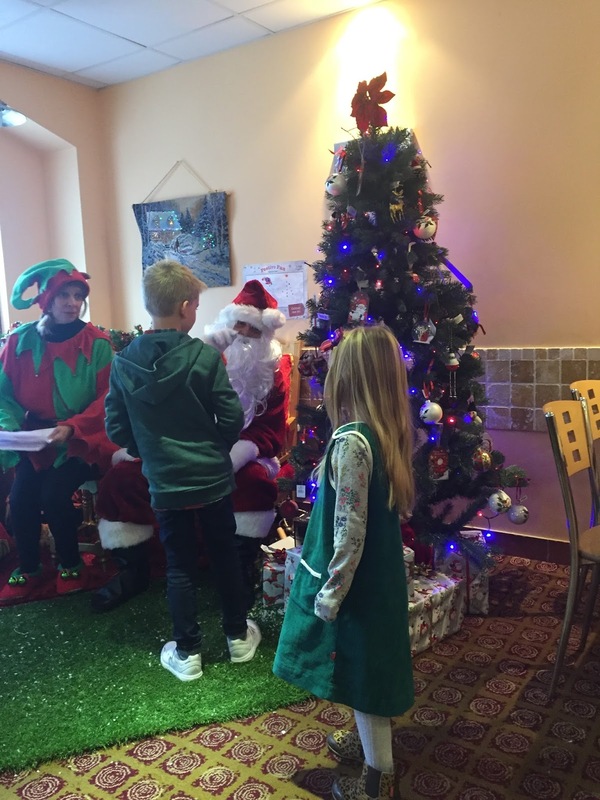 We were lead into the cafe/ grotto area where we were seated with our name places, the children had colouring sheets to do as well as a sheet to write out their list to give to Santa. It was a very special welcoming. 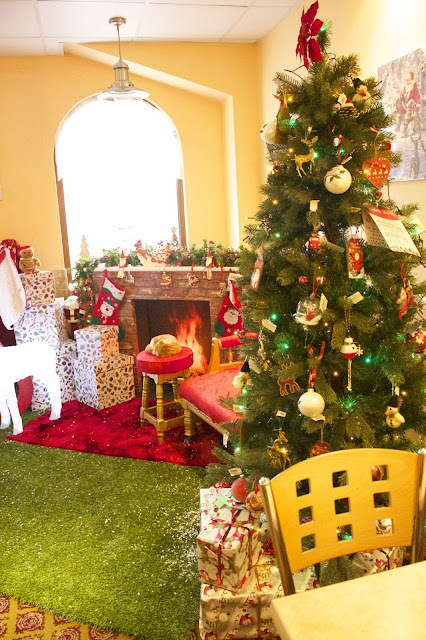 The elves lead the children onto the rug in front of Santa's chair to sing him a little song to get him to come from the north pole. We all had a good old sing song to Jingle Bells and Santa arrived! Violet was first to send over her letter to the big man and he really took so much time to have a chat with the children about what they had asked for, for Christmas. 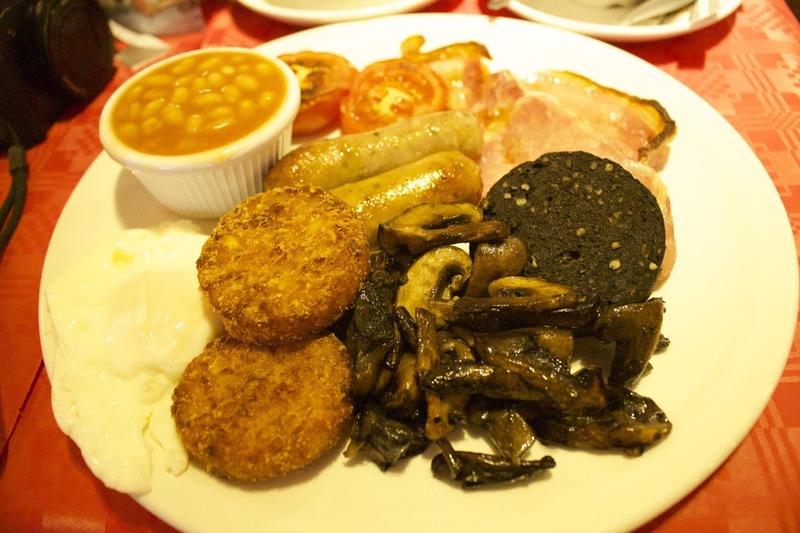 We had a wonderful full english breakfast which was really tasty. Santa came round to our table when the children were decorating Snowmen biscuits. That was a lovely added extra which i didn't expect to happen, there were mini marshmallows and sweets to top them with. 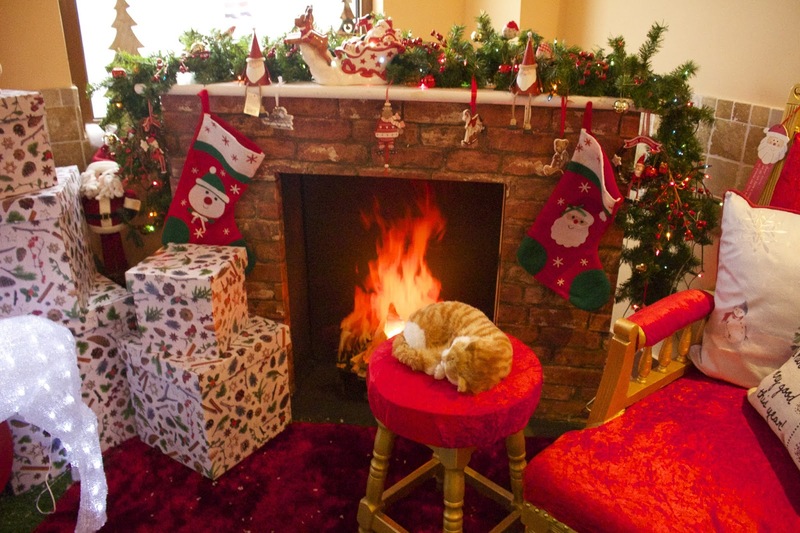 We it was time to sit with Santa the children couldn't wait and sat on his little chair next to the fireplace. They received a lovely crafty type gift which they were extremely happy about. 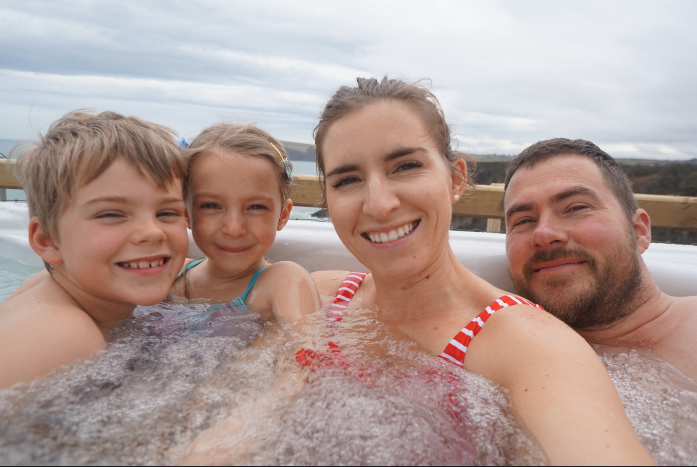 All in all the experience was pretty magical and fun, we have never been to a Grotto like it to be honest and would definitely go back next year. There are many Wyevale Garden Centres about the offer Breakfast / lunch with Santa just check out the link below. GRACO All in One Carseat Review & COMPETITION! !